With its ancient history and beautiful beaches, Egypt has low prices that seem unbelievable for a major tourist destination. Five-star hotels in Cairo start at under $100. All-inclusive seaside resorts are equally affordable. The Hilton Shark Bay Resort on the Red Sea is currently charging $93 for two people and $123 for four—food and drinks included. Although there is social unrest in the country, for tourists in Egypt its business as usual. There are many ways to get there using miles, and since many tourists are leery of the security risks it is a buyer’s market. That means plenty of award seat availability in frequent flyer programs. If you live near New York and have United miles, you are golden. Egypt Air, a member of the Star Alliance, flies nonstop from New York to Cairo, and the availability tends to be excellent. I’ve checked a few days in September and found a lot of Saver award seats. A roundtrip flight between New York and Cairo will cost you 85,000 miles. Remember that United Airlines allows you to book one-way flights. If you can’t find Egypt Air availability for one of your dates, there are several Star Alliance members that could still get you there with a layover, such as Lufthansa, Turkish Airlines, Swissair, and Ethiopian Airlines. If you have American Airlines AAdvantage miles, you can use Qatar Airways or Royal Jordanian. Interestingly, American Airlines, which often prices its awards lower than United, costs 5,000 miles more on this route. A round-trip flight to Egypt will set you back 90,000 miles. It’s also a little more complicated because the American booking site does show Royal Jordanian, but doesn’t show Qatar. British Airways flights are also available, but you are well-advised not to book unless you want to pay hundreds of dollars in fuel surcharges for your award ticket. 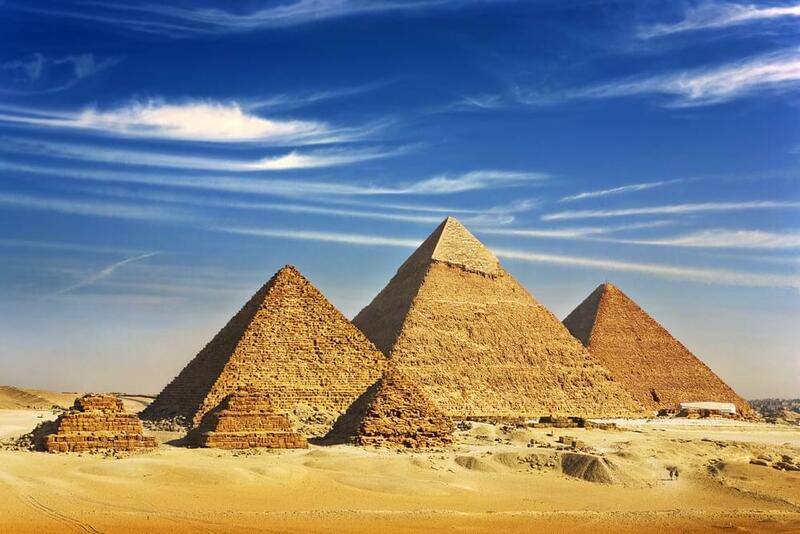 With Delta SkyMiles, you can fly to Egypt with Saudi Airlines, KLM, Kenya Airways, Air France, and Alitalia, but Delta’s search engine often tends to favor Alitalia on this route. The roundtrip flight will cost you 85,000 miles, but only if you can find award availability. With all the award flight options available, the pyramids have never been closer.